Tablets are well on their way to outselling notebooks. But while the Windows 8 user interface makes it possible to navigate the operating system with just a fingertip, that doesn't mean all of your old programs become magically finger-friendly. For some things, you just need a keyboard. A new class of hybrid PCs combine a wafer-thin slate for watching movies, reading, and surfing the Web, with a detachable keyboard you can use with full-blown programs that work best with physical input devices. I've spent the past several weeks using two hybrids that run Windows 8--the Asus Transformer Book T100 and the Lenovo Miix 10--to see if they deliver on the promise of providing the flexibility of a tablet with the productivity of a laptop. I've been reading, watching, and writing while wrangling a very active toddler. I used the machines all around the house and while out running errands. Lenovo has years of experience building twist-and-fold convertibles and slates with keyboard docks and covers. The Miix 10 combines a good 10-inch tablet with a fantastic keyboard cover, but I just can't get past the combo's $579 price tag ($479 for the tablet, plus $100 for the keyboard cover) and the slate's previous-generation CPU. You can read my full review of the Miix 10 here. Asus is also no stranger to hybrids. The company built several generations of dockable Android tablets before trying a Windows 8 device. The company's engineers wisely selected a processor from Intel's all-new Bay Trail family, which delivers great battery life and strong benchmark performance. You can read my full review of the Transformer Book T100 here. The Transformer Book is not without flaws, however. 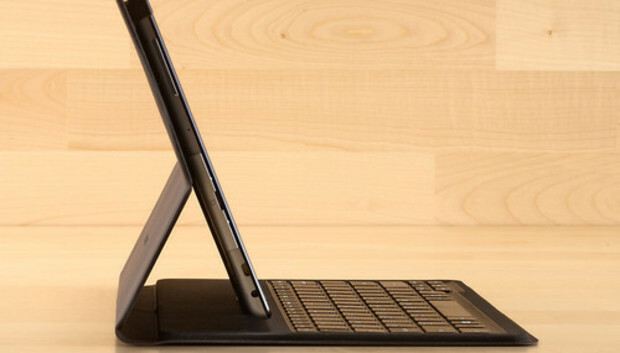 It feels like a $399 device, for starters--especially its stiff keyboard dock and flakey touchpad. But it's hard to argue with the battery life and performance for the price. Lenovo makes a great keyboard, but it's not $180 better. What can other cities learn from Singapore's extensive tech initiatives? Why is football transfer tech stuck in the 1980s?